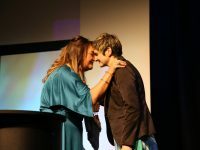 Nichole Gully has worked in Māori medium education for over 13 years. Before joining CORE, she worked as a lecturer at the University of Canterbury in undergraduate and post-graduate Māori language programmes. There she was involved in Māori language learning papers, indigenous language revitalisation, bilingual and immersion education, language teaching methodologies, and teacher education. As a mother of a bilingual ten-year-old boy in a Māori-speaking household, Nichole also works alongside whānau in their journies in bringing up bilingual babes. Nichole is currently researching and developing an innovative method to accelerate the acquisition of te reo Māori called 'Kia Whita!' which is modelled on the Accelerative Integrated Method. Loved this…your mother did well for her mokopuna…. Great read for all, with challenges for us too. Keep up the wonderful advocacy for the promotion of our Reo. He taonga tuki iho. Ngā mihi rā Phoebe. Ko koe ki tēnā, ko ahau ki tēnei kīwai o te kete e ora ai te reo, angitu ai ngā tamariki. Katahi nā koe Māmā Thelma! Mā te tuakana e tōtika i te teina, mā te teina e tōtika te tuakana. Tika tonu Whaea Rau. Ki te tautoko tētahi i tētahi ka koke whakamua, ka koke whakate matau. Tainui Āwhrio ngunguru te ao, ngunguru te pō. Ko Waikato/ Maniapoto te iwi. He mea whakamīharo ake ki a au te akoranga whakateretere ake i te reo. He tino kaupapa hoki rā tēnei ki tāku titiro. Ka tāea tonu nei tāua te āta kōrero ki tēnei kaupapa mā runga īmera, mā runga wāea rānei kōrerorero ai? 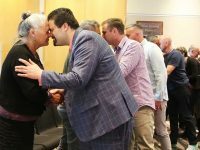 Nei rā tāku īmera kia kite ai koe te tūhonohonotanga mai inā ka hiahiatia ake. Back at you Jo. Be great if we could work out a way to do something together again. Have had some ideas actually which I'd be keen to talk to you about. Wonderful post Nicole. It's true, pronunciation is a sensitive subject — as a beginner in Te Reo Māori I can totally empathise with the fear people feel when trying to tackle a language they're not native to, but the rewards are so worth the risk! When I'm feeling apprehensive about using another language, I try to remember that when I'm listening to someone for whom English is their second language, I'm always super happy to cut them some slack — in fact it's really interesting experiencing your own langauge through someone else's learning of it — therefore, whoever has to listen to my baby-Māori is most likely doing the same thing for me! Ka rawe! Ngā mihi mutunga kore e hoa. Kua whāia e mātou, e ō hoamahi Māori, tō ara ako reo i ngā tau tata nei. Ka mau te wehi!!! 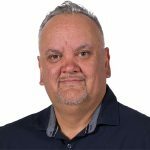 You have been an inspiration to your colleagues and others, your language learning journey and how you have led things reo in our communications. Agree with your idea about cutting each other slack, supporting progress, movement forward…or the right shift on the continuum. Kia ora rā e kare, e tautoko ana ahau ngā mihi, kua mihia, otirā, ngā whakaaro me ngā urupare kua whakapuaki nei, E kī! kāore au i mōhio e tamahine koe o Porirua i tō whaea taha. Tērā pea e mōhio ana koe tētahi o aku hoa nō te hood nei, ko Rihari Manning? heoti, lovely read and some very good ideas particulalry with developing a accelerated model of learning te reo Māori. In a Kura/ Māori medium context it's been identified as a 'special need' in some kura when comparing the aquisition of learning for a child starting kura with no reo or very little reo, to a tamaiti who is immersed in te reo Māori at home and having attended kohanga reo etc. toru meke!! Āe rā e hoa. Elsdon hard tēnei, heoi e mōhio pai ana ki te poai nā nō te Creek, ki a Rīhari rā. Agreed with your point about kura recognising the unique needs that tamariki who come from English speaking backgrounds and Māori speaking background and building from where our tamariki are. We do that for our kids, and the question is to what extent do we do that for each other and ourselves as adult learners on the learning journey? Kia ora Nichole. Great to hear advocates for more accurate pronunciation of one of our official languages! I love the concept of an inter-language continuum. 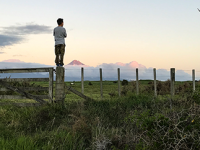 In a similar way, when I am teaching te reo Māori pronunciation to mainstream education teachers, I remind them that we are all on a te reo journey – even when we don't realise that we are! That's because we are all living in Aotearoa, which means we pronounce (correctly or not) Māori language kupu every day, in our place names, street names, people's names, flora and fauna. My own belief is that if we all make an effort to pronounce our Māori place names correctly (such as Rotorua, Porirua and Ngaruawahia) the mana of those places will rise to its full potential and we will be well on the way to a more harmonious nation. Kia kaha. You’ve got it in a nutshell. It’s a journey which we are all on by virtue of being in Aotearoa and it’s not about perfection, it’s about making getting on the wobbly bridge and just giving it a go. Mā hapa, ka tika, nā reira me hapa, kia tika! I'm a teacher and I always struggle to pronounce Maori names correctly too, but I do try. I really like your image of being on a continuum from 'newbie' to 'native-like'. It makes it seem less threatening somehow. I don't know any native Maori speakers to try my attempts out on and sometimes worry that I am teaching my class the worng pronunciation. I'm confused by your 'dead eel mouldy' – is that how I should be pronouncing te reo maori? Hearing you Debby and wow, good on you for 'feeling the fear and doing it anyway'. No doubt you are making a few mistakes here and there. I have made plenty, believe me! My commitment to the language and my learners is to lead by example and be clear about also being on a learning journey. Mistakes are a necessary element to development. Embrace them, learn from them and fear fades away like background noise, ever present for some, but a source of energy as opposed to paralysis. Dead eel Māori with a good kiwi twang sounds very very similar to how Te Reo Māori sounds. A Māori 't' is softer than the aspirated English 't' much like the softness of an English 'd'. The Māori 'r' is NOTHING like the English 'r' but is formed again in much the same way as the English 'd', so Māori sounds crazily similar to mouldy. Maybe treat it as code cracking, a game you can do alongside the kids and work it out together, The AWESOME thing about Māori is once you have cracked the code, it doesn't change. Good luck Debby. nichole.gully@core-ed.org. Would LOVE to hear how you progress. Koia koia e hoa. 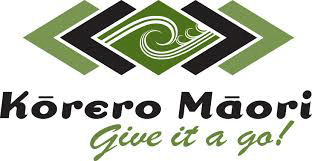 Kei te aro ako tātou katoa ahakoa te taumata o te reo. Ko ngā tihi o ngā maunga, ka taea, ko ngā tihi o te mātauranga, he mutunga kore. Tēnā ra koe ē Nichole. Ngā mihi o te wā ki a koe mō te tuhinga i tuhia ai e koe ki runga ake nei. Whakaāe ana au ki tā Piripi Waretini, “He tino kaupapa” tēneki mō ngā iwi katoa e noho ana ki Aotearoa nei. He pai anō tā Sharon Holt. Ngā mihi ki a rāua tahi mō ngō rāua whakahokinga kupu. E pēwhea ana ngōu whakaaro mō tēneki? Ki ngōku ake whakaaro, e rua kē ngā whakahuatanga o te [Tt] i roto i te reo Māori. Kotahi mō te [t] + [i] = Titirangi, kotahi anō mō te [t] + [a] = tamariki, [t] + [e] tekau, [t] + [o] Tongariro, [t] + [u] Tūrangawaewae.